Thanos is everywhere these days thanks to the massive success of Infinity War. While many fans of the Marvel Cinematic Universe were shocked and saddened by what the Mad Titan pulled off at the end of the film, some fans stood by his choice to wipe out half of the universe's population, even though it may have been made in a deceitful manner. A subreddit was quickly put in place, calling itself Thanos Did Nothing Wrong and now they're about to imitate the ending of Infinity War by killing (banning} half of their subscribers to the subreddit. Life will be imitating art in the best possible way when the Thanos Did Nothing Wrong subreddit bans half of its users. The-Jedi-Apprentice is a moderator for the subreddit and recently revealed that he initially aimed to delete half of the users on July 3rd, but that idea was ruled out. 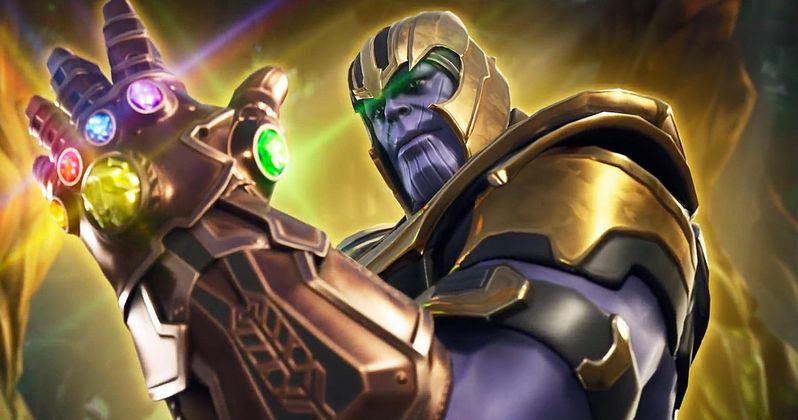 So now, the event will take place on July 9th, which means there's still plenty of time to go and subscribe to the subreddit and see if you survive the "snap" of the moderators. The-Jedi-Apprentice went on to detail his process. He had this to say. "(A Reddit-Admin) told me that doing a massive ban the day before July 4 was a terrible idea, because many of Reddit's engineers would be out with their families. Also, the engineers would not be prepared for a mass ban so close to it. However, I presented a solution to these two problems, and now I have their permission to ban half the sub! The random 50% ban will take place on July 9th. The admins are designing a bot for me that will allow me to do the job in a quick and easy manner." For those unlucky users of the Thanos Did Nothing Wrong subreddit who get banned, there's no need to worry. There's already new subreddits named Soul World and Soul Stone that are based on the theory that all of the dusted characters from Infinity War are trapped in the Soul Stone. So, if you find out that you were banned after the Mad Titan's snap, you can head over to either of those subreddits with the rest of the unlucky souls. The popularity of Thanos has been pretty unbelievable since the release of Infinity War. We've seen a website dedicated to letting MCU fans know if they survived the mighty snap or if they turned to dust. There's even an awesome cosplayer who decided to take Grimace from McDonald's and mash him up with Thanos, which may be one of the best costumes ever constructed. Thanos fever is far from over with Avengers 4 on the horizon, so basically it's just getting started. As previously noted, there's still plenty of time to go sign up for the Thanos Did Nothing Wrong subreddit, which as of this writing, has nearly 300,000 subscribers. There's a good chance that number will double in the coming weeks once the word begins to spread, so get over there quick and await your destiny. When it's all over, Avengers 4 will figure out a way to bring you back. Head over to r/Thanos Did Nothing Wrong to see where you end up.